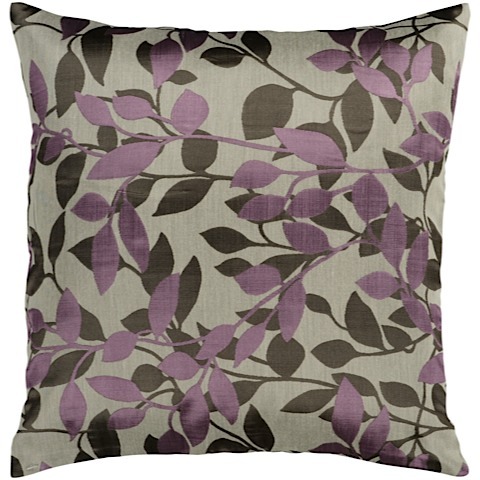 A modern floral, the Daly City Pillow blends plum, beige and black into a cool, contemporary accent. 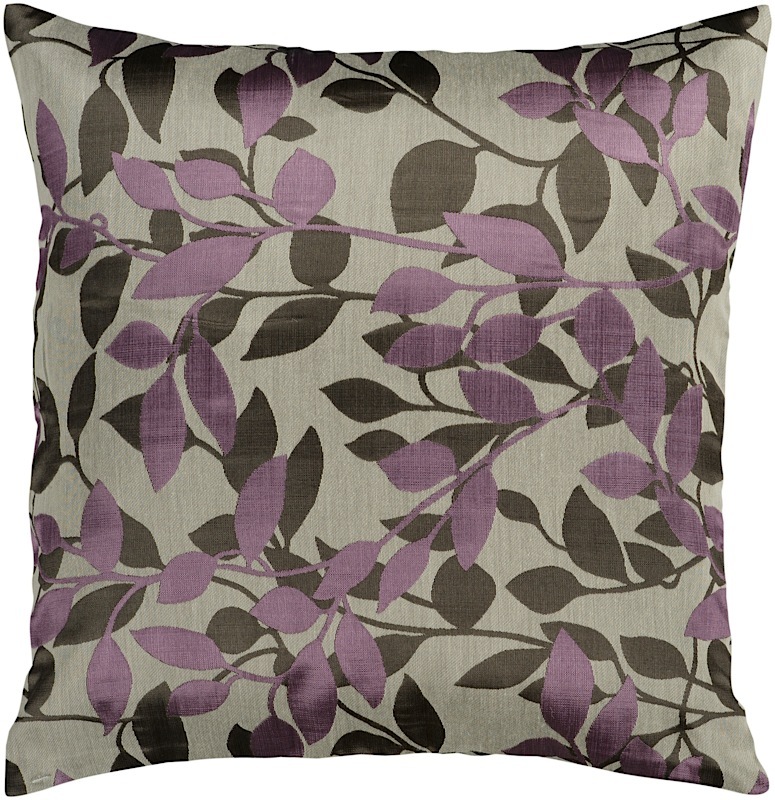 Purple and black vines creep across the oyster gray background. 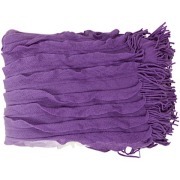 Cover is made from 88% polyester / 12% polymide. Available in two sizes with a down or polyfiber filled insert.